On a beautiful sunny December day a small group of Civil Air Patrol cadets, their officers, cemetery employees and a World War II Air Force Navigator (and POW), gathered to hold the Wreaths Across America ceremony at one of the original 14 National Cemeteries established by Congress and organized by President Abraham Lincoln during the Civil War, Cypress Hills National Cemetery in Brooklyn, NY. The Civil Air Patrol did an outstanding job with the Wreaths ceremony, then Veteran George Dennis gave an interesting and sometimes emotional talk about what Cypress Hills National Cemetery means to him, and about his military service. 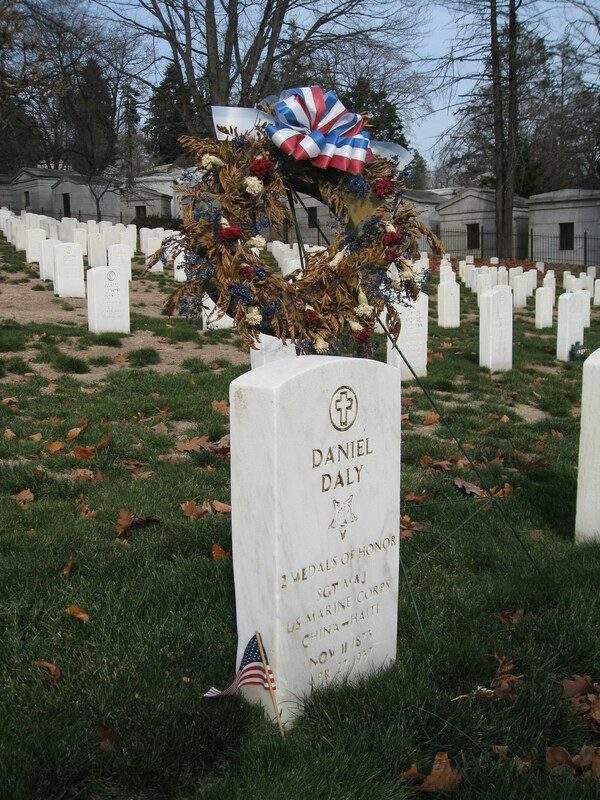 Among the things Mr. Dennis mentioned was that Cypress Hills National Cemetery has more Medal of Honor recipients than any other cemetery in New York State (24) and two double recipients including USMC Master Sergeant Daniel Daly “the fightingest Marine’ who is the most decorated Marine in history. 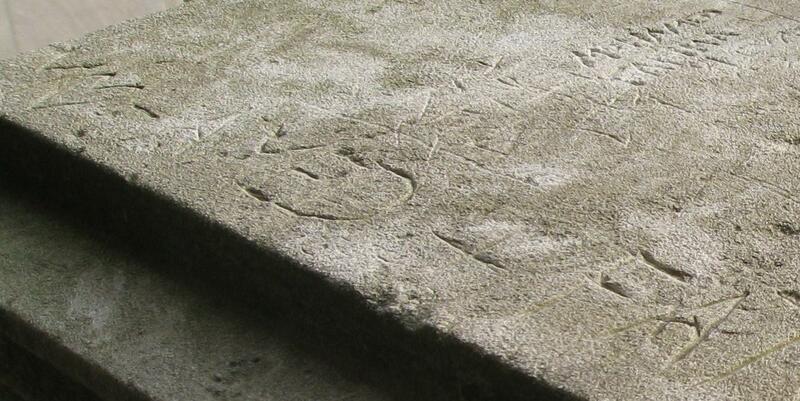 ‘Mohamed & Fatima’ was carved in two places, one across the bottom edge of the podium top, and again above and to the left (upper right in this photo). Carlos Varon of the Patriot Guard Riders was at the neighboring Cypress Hills cemetery section of the National Cemetery and posted photos here! 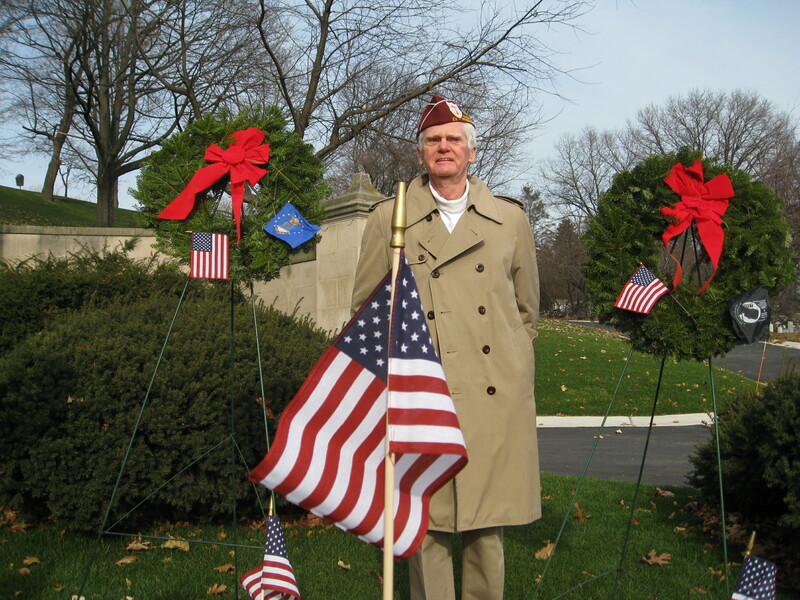 Carlos covered the Cypress Hills National Cemetery Wreaths across America program in 2009 also.